How does a photo festival change your world view forever? Anusha Yadav tells us the many ways. Music concert. Mumbai, 2009 by Anusha Yadav. My first ever attendance at a photography festival was the Paris Photo in2006. An American benefactor had donated money to the University of Brighton for almost 50 of us to take the EuroRail, stay and see the photo fair, as well as a 100 other photography exhibitions outside of the Louvre, in Paris. A long story cut short, it was one of the finest and most tiring experiences of my life – better than any sea or mountain. What I absorbed and learnt in six days in Paris (and six months at university), I would have never learnt in India in 16 years. But then that was 2006, this is 2015, and the world has since changed. I am a big believer in public art. It is an opportunity to show work to a much much larger audience and sections of society than one can curate and display to a gallery guest list or a person swinging by. Public installations of creativity may or may not be understood well or even appreciated, but at the least there are never-seen-before sights and ideas for us to observe and absorb, be inspired by or even question. I consider it a bigger opportunity than a gallery that finds access to only a few. Now online and social media are the other forms of public display, therefore what makes any artwork public art, is access. Access is one of the many important things that creative festivals are meant to grant. And in the arena of photography, the Delhi Photo Festival was the first who managed to provide and achieve that, apart from successfully bringing an unsaid communities of photographers and curators together that otherwise were and are still quite interspersed – perhaps by choice, comfort or their current status of security. But I do remember that first day of the festival was sheer magic. Like a dream dinner, with all possible lovers – the good, the bad, and the ugly and the meh. Two successful editions later, I am excited to expect the same. It is not easy, I can tell you that, to be inclusive and great at the same time. Many organizations and people have tried and failed. There are several obstacles- time, money, mind space, heart space. Most creative people are more or less used to investing all of that in their own work and/or themselves (that includes me) and there is absolutely nothing wrong with that. But every creative project needs its messengers, to aid showing the work to more and more people, be it for future commissions or for mere admiration or for spurring on a thought or a great idea. For me, a democratic photography festival like Delhi Photography Festival is one of the best messengers of such creativity, more so because they are also then agents of change. For the photographer and the audience both. It can challenge and change previously held notions of arts and artists, photography and photographers, curation and curators, audiences or even general life, and trust me there is nothing more fun than that. Moreover, what most matters at the end of the day is intention – what does a person or organizer want to achieve at a culture festival. At Delhi Photo Festival’s day one, everyone involved (or not) knew it wasn’t about the organizers, or personal agendas, or only pleasing a few people, it was simply only and only about photography. Moreover, I never felt any pressure to agree or disagree with all the curated voices or sights. To see so much work in one place, one venue, can be nothing less than inspiring. To hear so many photographers and curators from India or abroad, share their experiences, shakes you into a reminder we constantly need– to do more work, use one’s own voice, pace, likes, dislikes, politics or none of that nonsense, just like we do in other parts of our lives. It may be even the mere joy or sadness or boredom one can feel as they speak. But to see many of our peers’ and masters’ works, old and new, displayed side by side is that ideal world we all want to be in, but cannot find. The power of democratic arts is on beautiful display. One of the big lessons I learnt from presenting at the Delhi Photo Festival was to appropriate my formats of presentations. I presented, the Indian Memory Project and that was great. But to present my own photography works for the first time, as a slide show, I missed paying attention to the detail that works need to be readapted for presentations. A gallery show is different from an audiovisual show, is different from a speaking presentation to an audience. One cannot assume that one format will work for the other. Photographs no longer belong only on a gallery wall. There are varying forms – Prints, framed/unframed, installations, on the wall, hanging off a thread, audiovisuals slides, magazines, newspaper, post cards, book covers, social media, Whatsapp profile pictures, or on the streets of cities and villages or even vehicles. Nonetheless, it was one of the finest lessons learnt because it now comes extremely handy when thinking of new ideas or preparing for future shows and presentations. I now never quite walk away from any show, only inspired or bored, because one way or another it helps plan, plot, craft, correct and refine future works and presentations. A festival is a celebration of an identity/culture and a photography festival must celebrate the culture of all accessible sights and media that introduces new arts and ways of looking and articulation. DPF is a superb reflection of what the world around us is seeing, seizing, and thinking. That information is crucial to understanding current, old and new ideas in any discipline. If we want to become a better person, artist or a country, it is these new arts and ideas where it all begins and ends at. At DPF, you will see and hear images and stories you have never heard of before; there will also be stories that you won’t take to. But there will be at least one image that will alter your mind like never before. Trust me on that, there is always that sneaky one. 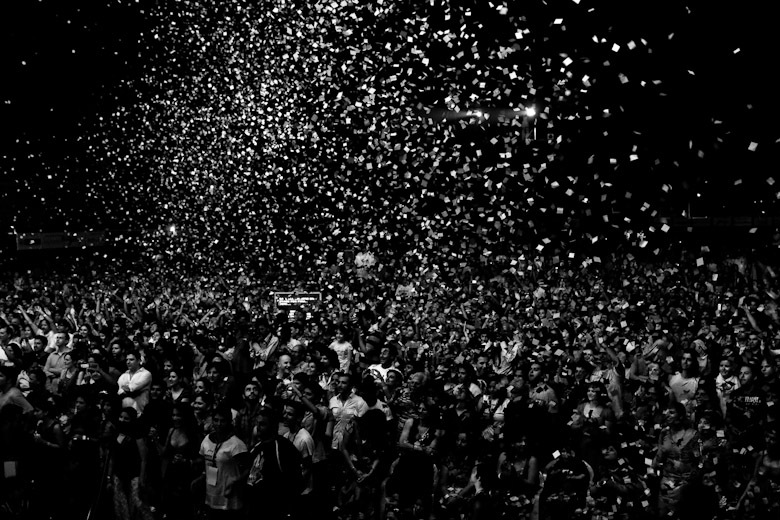 You will walk away knowing that this festival was only and only about showing us the new ways of seeing. You will agree and disagree, but this autumn, there isn’t a better place to find greater light to do that, but at the Delhi Photo Festival. 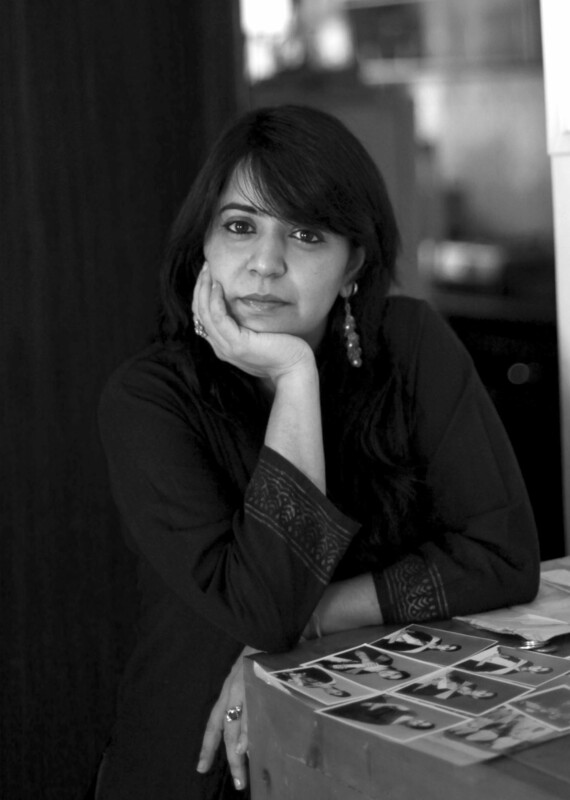 Anusha Yadav is a Photographer, Photo researcher & archivist and a Book Designer. She graduated in Communication Design from National Institute of Design, Ahmedabad in 1997. October 7, 2015 in Uncategorized. When Photographers share . . .